In the middle of May we had the great pleasure to join the Samata Luxury Liveaboard with our repeater guests on a 5 nights / 6 days private charter. 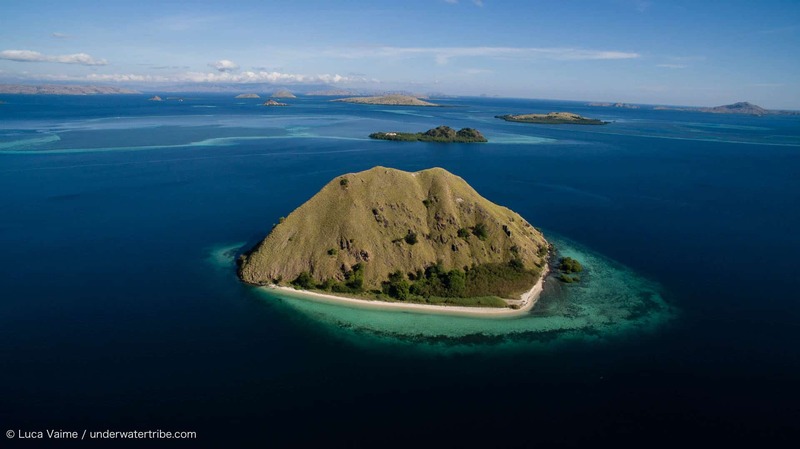 This trip was to visit the beautiful Komodo National Park. We flew from Bali early in the morning on Garuda and boarded the vessel around 10:30 am, the crew of our private charter the MY Samata welcomed us warmly and in no time we were on the way to our first dive destination. We were able to have the first dive by the island of Sabayor before lunch. Sabayor is just at 1:30 min – 2 hours from the harbour and it is the perfect location to have a warm up dive en route to Komodo island. Right after the dive we had lunch while cruising on a very flat sea towards the North West of Komodo Island. 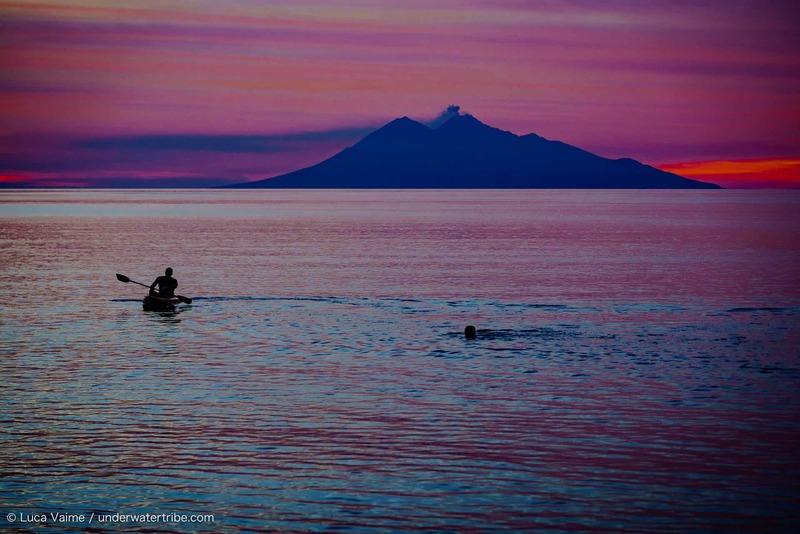 In the mid afternoon we reached Monco Bay, the place where it is possible to see a fabulous sunset with the Volcano of Sangeang in the distance and where we were going to spend the night. We spent the rest of the day having fun kayaking and diving from the boat during sunset. We could not wish for better start of our incredible journey. We started the day we a beautiful and easy dive along the pristine reef inside Monco bay. The dive is made up of beautiful coral heads with lots of marine life surrounding them and in the shallow there is a perfect and healthy coral garden. The perfect dive to wake up ;). We then had a delicious breakfast while moving the Samata to the North of Komodo and planned to dive some of the iconic sites of the National Park. Given the great conditions we chose to dive Crystal Rock. Crystal Rock is a seamount off shore where lots of fish congregates. It is possible to see white-tip sharks, Napoleon wrasses and several schools of fish including fusiliers, jacks and surgeonfish. We planned the dive at the perfect time, with slack tide, and we could see lots of fish with easy conditions. In the afternoon, after lunch, we moved a little further south in the Bay of Gili Lawa Darat. The afternoon dive was at the Golden Passage. The Passage is a great drift channel dive. 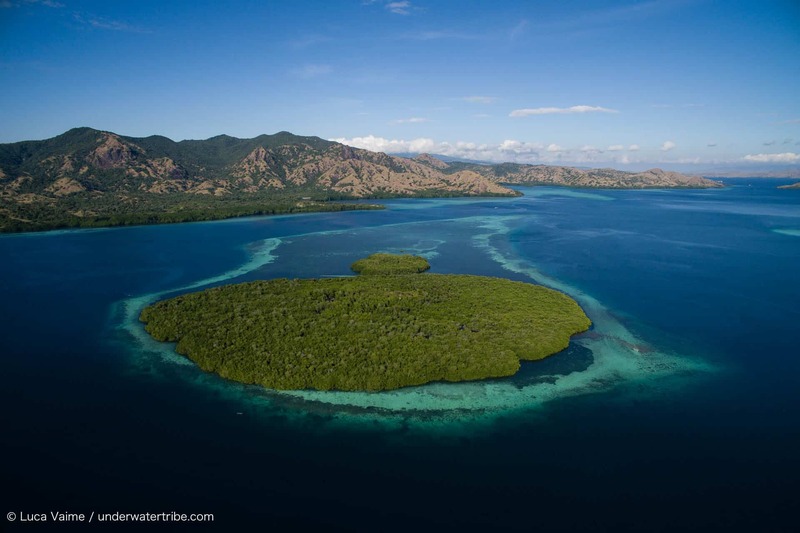 We dive right in the narrow gap between the island of Komodo and the island of Gili Lawa Darat. In this dive site we often can see something special and this time too it did not disappoint. As we were entering the channel we could admire a beautiful thresher shark exiting the passage. The shark was surrounded by fish. It was a brief sight but it made our dive unforgettable. 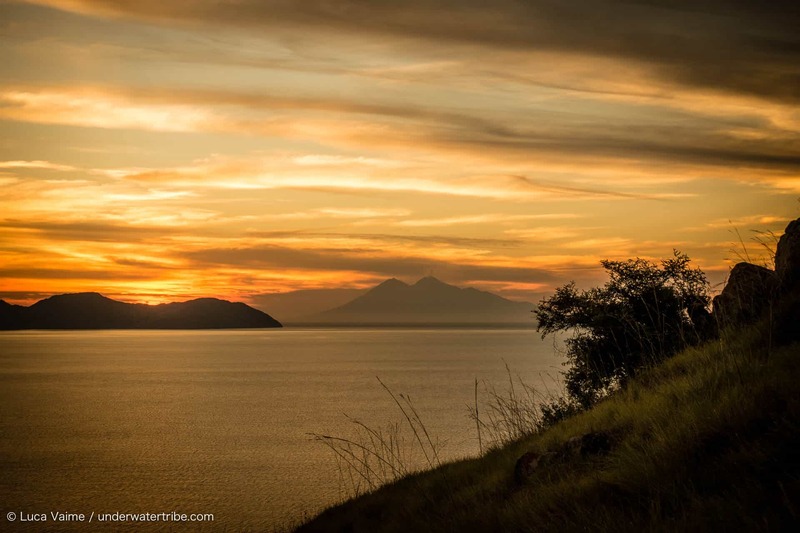 After a good break relaxing on the boat we went to land and went up hiking the hill of Gili Lawa Darat to enjoy the beautiful view of the marine park at sunset. We moved the Samata early in the morning to the island of Tatawa. On this day we had some current running in the morning and Tatawa Besar is a perfect dive site to dive with a drift. 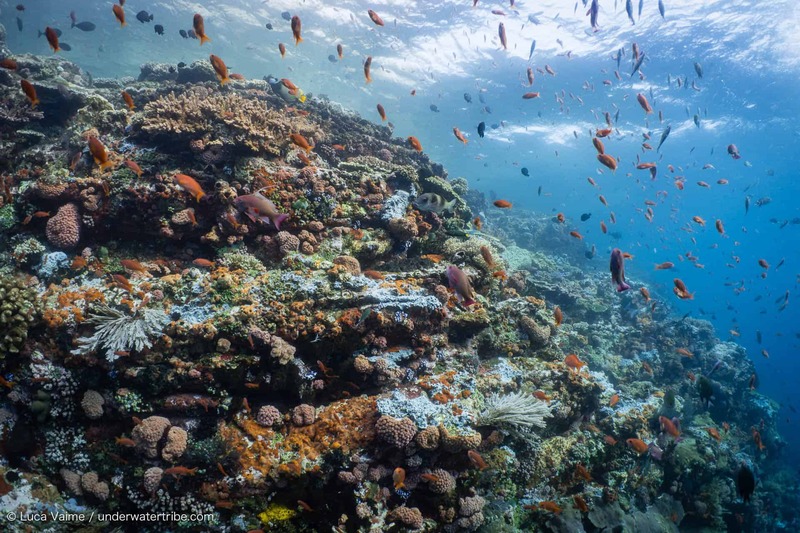 Along the reef we can admire several coral heads and, when the current is running, all the soft corals open making this beautiful site very colourful. In addition to this, Tatawa is a great site to spot sea turtles, mostly hawksbill and green turtles. We could spot at least 6 or 7 individuals. Some of us were lucky enough to spot the first manta of the trip others could see a very beautiful eagle ray. Given the fact that not all of us did see the manta, it was now time to go to dive some of the dive sites where we have more chances to see Manta. We chose to go for the second dive to Karang Makassar, a site where we often can sight Manta rays. While on the dingy on the way to the entry point of the dive , we could see a couple of manta just below the surface. During the dive itself we could all have a glimpse look of some of them. Noticing that the manta were mostly on the surface Sam and Luca decided to ascent and ,rather than scuba dive, snorkel with them. This was far a better experience as we were on the same level and they were keep coming back and forward with the mouth wide open while feeding. As not all of us had a great Manta experience, at least the way that Komodo can provide, we deiced to take our chances in spotting some more manta rays and visit the island of Mawuan for the afternoon dive. After lunch we first sent out the drone and try to see where the manta where. We were lucky to spot few individuals right away and they looked like to be in proximity of the surface, so we deiced not to take scuba gears with us and snorkel instead. Bang!! 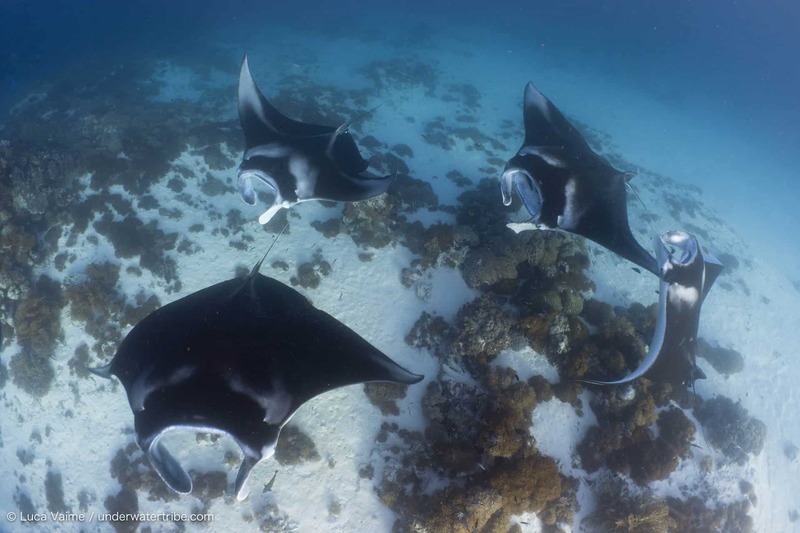 !, that was the right call, as we all could spend more than an hour with 4 then 5 then 7 mantas putting a up an elegant dance right in front of us while circling and taking turns to clean on the coral heads in the shallow part of the reef. When it started to get dark we deiced to leave the manta spot and return to the boat. To finish this fantastic day perfectly, some of us decided to have a sunset kayak in the Lintah Strait. This is the advantage of a private charter, the ability to choose a variety of activities. The day started with a great channel drift dive at shot gun, nothing better than wake up with the push of the current funnelling in the narrow gap between the islands of Gili Lawa Laut and Gili Lawa Darat. The dive was great , lot of Giant Trevallies, sleeping white tip sharks, big stingray and some of us also had a Manta ray. For the second dive we moved North and, given the great conditions, we decided to dive at Castle Rock, which like Crystal, it gave a us a dive surrounded by fish. There was only one of the iconic and unmissable dive site left to visit and that was Batu Bolung. Batu Bolung is a big pinnacle raising from the depth, right in the middle of the ocean in the Lintah Strait. Being isolated, it acts like a fish magnet and attracts lots of pelagic marine life. So we made plan to visit it in the afternoon, after all the boats had left and that was the right decision as we had a great dive with sightings of several turtles. Some of the turtles were sleeping and others were eating corals along the sheer wall. We then moved the boat to Wainilu in the North of Rinca and some of us went for a night dive. Wainilu is the perfect spot for a night dive as it is possible to see several critters including octopus, nudibranch and frogfish. This was going to be the final full day of activities. On this day we chose the island of Tengah Kecil for our activities and we split the group into two. Some went scuba diving and others went freediving. Luca offered some freediving training and the boys of the group were eager to learn. There was a ripping current hitting the pinnacle of Tengah so we could find only a small spot sheltered enough to freedive. It has been fun and could see that the boys were getting better and better after every dive. Given the strong current we decided to dive along the island of Tengah besar for the second dive and as this was going to be the last dive of the trip we had a sallow and long drift along the coral reef. We could se few turtles and enjoyed the fun drift. That was it for the diving, but the day was only half way and we still had plenty of time of time to do some activities. In the afternoon we first went to land and visited the ranger station in the north of Rinca. Under the supervision of two rangers we went for a hike in the park and could sight several Komodo dragons. We were lucky enough two spot two of them in the forest right after mating. The walk was amazing and easy to do there was a nice breeze flowing through the forest and for most of the walk we were in the shade of the trees. We could see other animals including monkeys, dears and water buffaloes. We then returned to the Samata and moved the vessel further east nearby the island of Kaaba, where at sunset hundreds of fruit bats leave the mangroves and fly to Flores mainland in search of food for the night. We all enjoyed the show while relaxing sipping a drink at sunset in the comfort of our great vessel. We spent the night in the same spot. Even if this was the day of departure, as we were at only 2 hours away from the harbour and still had some time to spare, we went for an early morning freedive session on the nearby reef. After about 45min -one hour session we took our speed boat and went visiting a nearby island that has got a very interesting pink stone formation. We then headed back to the boat and while enjoying our breakfast we cruised back to harbour to end our fabulous trip. During the 6 days cruising and diving in the Komodo National Park we had a really good experience. 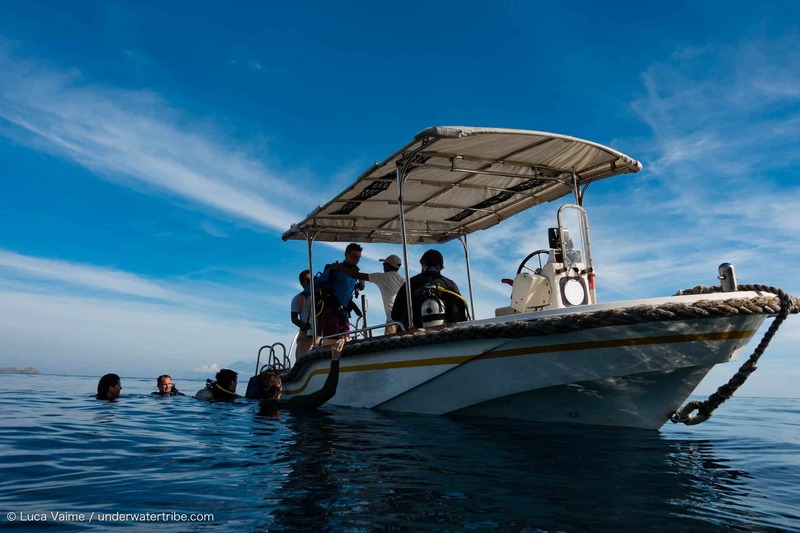 Our Private Charter, the Samata Liveaboard took such great care of us and went the extra mile by providing us with plenty of cool activities beside the diving. The comfort of the boat was perfect, we had so many nice sunsets that we could admire comfortably from the vessel while having a nice drink prepared by the crew. The food was excellent and the crew was very attentive and friendly. Why book a trip with the Underwater Tribe ? We specialize in customizing the trip to our guests needs and come up with suggestions for every destinations in Indonesia. Thanks to the many years spent building a great knowledge of the Indonesian Archipelago you will be assured to have a great leader with excellent social skills on board to ensure that you will get the most out of your holiday. We book a private charter for those who prefer intimacy. We also have a great selection of other liveaboards for those who don’t require a private charter. For inquiry send us an email at info@underwatertribe.com .